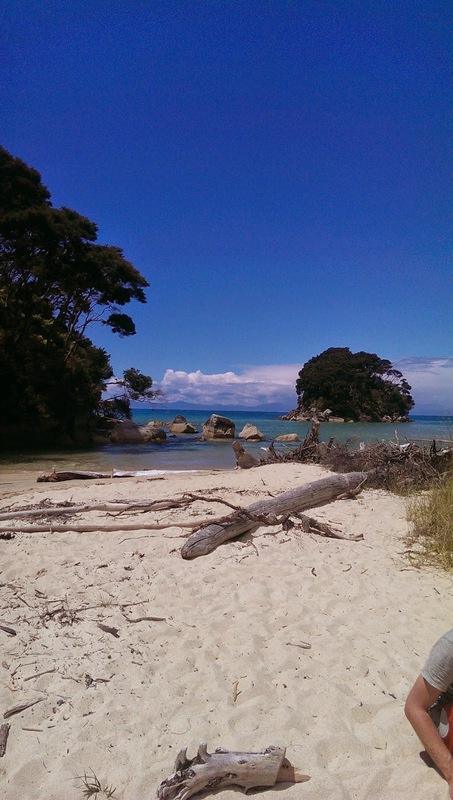 At the top of the South Island you have the coastal National Park, Abel Tasman. This is another place i have visited in the winter and it is just as stunning especially if you are lucky and get the sun! Don't get me wrong though in the summer months it is absolutely awesome and you can see why it is renowned for its golden beaches and stunning coastal tracks. We booked a kayak trip for the day after arriving in Nelson, a town about 60 km's away which is a good base for the National Park. We stayed in a campsite in a little place called Ruby Bay which actually reminded me of Cornwall as many places have in New Zealand but this little place particularly! 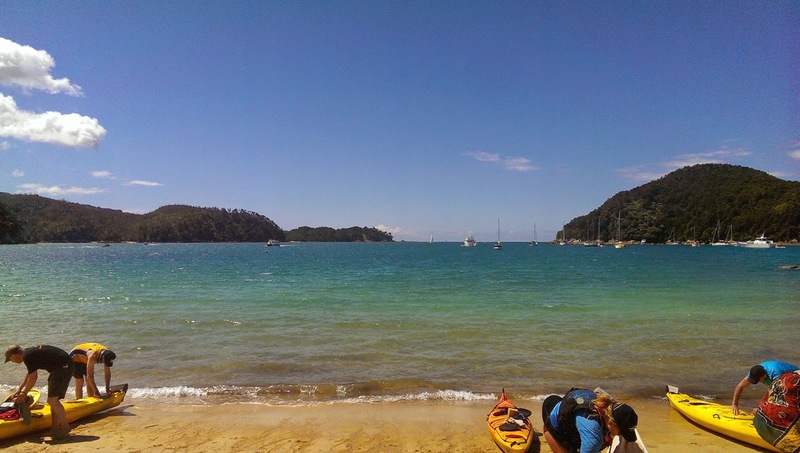 The day started at 7.30am as we had a 40 minute drive to the kayak base on Kaiteriteri Beach. Beautiful sunny day and was looking forward to getting on the water. My first time kayaking since i was 11 years old and went on a school trip to France! We got to enjoy a half hour boat ride up through the National Park to our drop off point where we were to collect the kayaks. Once we'd had a brief lesson we were in the water. The bright green clear water was stunning and we headed to an island which fur seals inhabit. We saw so many and they came quite close! They actually have no predators in these waters so they are very relaxed and just swim around you. Our guide for the day was Paige and she was great. Chilled out and chatty but also informative and professional. I think we were lucky and had a good group of people and all kept together nicely and kept moving quite swiftly. We paddled around with the seals for about half an hour and even saw a few pups! We then carried on paddling down the park in the direction we had come from, after about another hour we stopped at Mosquito Bay which i can only describe as paradise! We were the only group there which we were told, was unusual so we lapped up the temporary luxury of being the only ones there and ate a tasty lunch of a baguette sandwich, caramel slice and coffee, tea or juice, which was provided. After lunch and a chat with our fellow kayakers we all went for a swim in the crystal clear waters. The final paddle was down to Anchorage Bay which took just under two hours, we ventured out slightly into the ocean but never too far away from park. 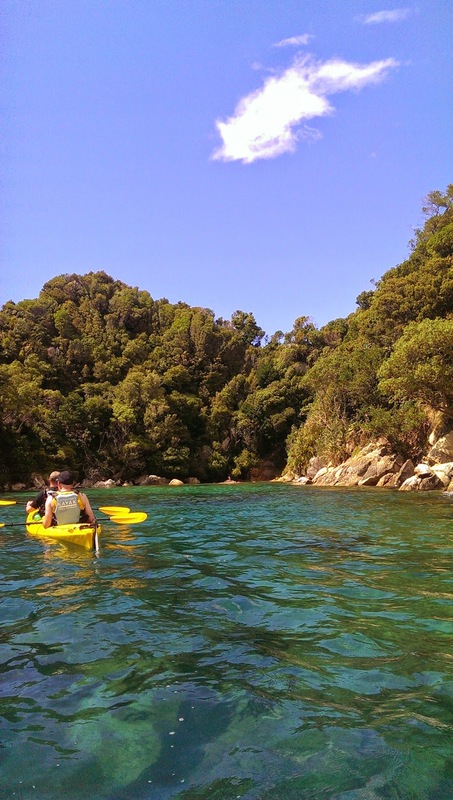 We saw a few more seals and then reached the bay where we were to catch the boat back to Kaiteriteri. Fantastic day, thoroughly enjoyed every second. Definitely a must do and huge highlight of my trip!! More photos below but they were only taken with my phone.